Valmet has signed a contract with Zibo Green Energy New Energy (ZGENE) for the delivery of a solid recovered fuel (SRF) boiler plant to ZGEBE’s power plant in Zibo, Shandong Province. Installation is scheduled to begin in February 2017 with heat and power production to start by the end of the year. The steam capacity of the new plant will be 108 MWth and the plant’s electricity production capacity will be approximately 35 MWe. On 16th September 2016, Solví Valorização Energética officially inaugurated the largest thermal power plant fuelled by landfill biogas in Brazil, and one of the biggest in the world. The plant has an initial distilled capacity of 29.5 MW that will be made available to the distribution network. GE Power was chosen to supply 21 Jenbacher generators, each with an output of 1.4 MW. Power generation will reach 250,000 MWh per annum. For more information on this facility, click here. 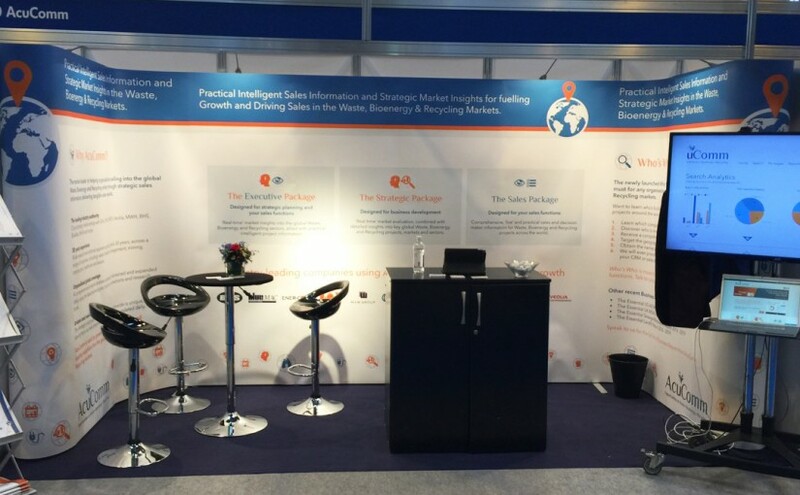 Who’s Who in the Global Waste Industry? AcuComm’s latest strategic sales tool for the Waste, Bioenergy and Recycling sectors is Who’s Who. These unique and first-of-their-kind publications, identify and provide named contact details for all the major global players in the industry. Not only does each of the four regionally-focused publications present the most comprehensive overview of active companies across each regions, but they also provide you with the direct contact details of key personnel associated with those companies; complete and ready to download in a separate Excel file. This information is a must-have for any organisation selling into or operating in the Waste, Bioenergy and Recycling industries. 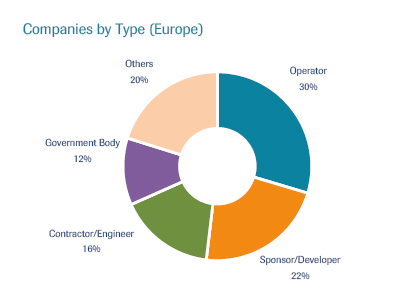 Part 1: A unique insight into the number and types of companies involved, including identifying the leading players in terms of project capacity and estimated market share. Part 2: A comprehensive geographic breakdown of companies operating in the waste, bioenergy and recycling sector; complete with key personnel contact details. This information is arranged by country, then by company, and finally by individual name. If you are looking to identify the key companies and personnel actively engaged in the Waste, Bioenergy and Recycling industries and even discover which countries have the highest activity levels, then our Who’s Who publications have been designed with you in mind. These reports are more than just a directory; they are an essential tool for your sales functions. The actionable data provided, in a CRM-ready format, will fuel your sales pipeline and inform your business development strategies. To request a Who’s Who sample, to see for yourself, or arrange a demo, contact us on 01243 788686 or email [email protected]. In the week ended 23rd September 2016, AcuComm added 42 new or updated projects to our Business db, worth an estimated US$3,622 million and waste capacity of just under 9.1 million tonnes. 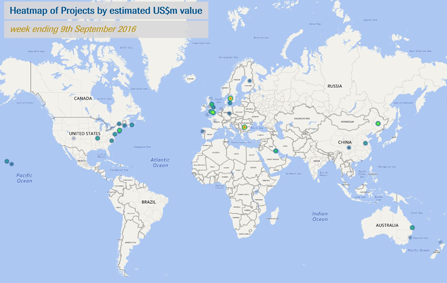 This takes the total estimated investment value of projects to US$341.1 billion. MSW was the leading feedstock type reported on in the past week, accounting for an estimated 3.6 million tonnes, or 39.2% of the total. This was followed by wood with 3 million tonnes or 32.7%. 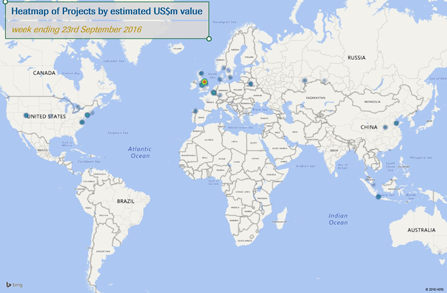 AcuComm’s Business db provides unique and unrivalled coverage of major projects in the Waste, Bioenergy and Recycling sectors from across the world. Our Sales Package gives you access to this, as well as direct contact details for key decision-makers and ‘real-time’ updates on the latest changes to a project you’re targeting. You can put our database to the test by clicking here. Black & Veatch and Clugston Construction have been awarded the respective development and civil engineering contracts for Yorkshire Water’s new £72 million treatment and anaerobic digestion facility. The plant will be located at the Knostrop Sewage Treatment Works in the centre of Leeds. China Everbright International has secured contracts to construct a RMB 230 million waste-to-energy plant and a RMB 228 million 15 MW biomass plant, both in Xiayi County in Henan Province. The company is also set to construct 30 MW biomass plant in Ji County in Tianjin. Find out more information on the first, second and third projects. In the week ended 16th September 2016, AcuComm added 44 new or updated projects to our Business db, worth an estimated US$7,317 million and waste capacity of just under 12.3 million tonnes. This takes the total estimated investment value of projects in the database to US$339.1 billion. The total estimated power generation of projects from the past week was 2,063 MW. WtE incineration was the largest category, accounting for 1,714 MW. The leading country in the past week was the USA with nine projects, followed by the UK with eight. 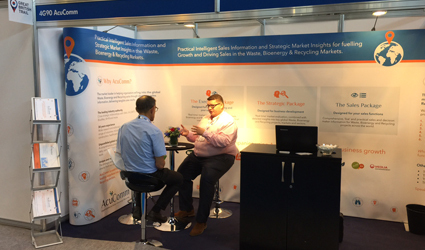 If your organisation is looking to engage with the latest projects in the Waste, Bioenergy and Recycling sectors, then check out AcuComm’s Sales Package. Our daily updates on new and existing projects from across the globe mean that you can be the first to know if something changes on a development or project you are targeting. Following a busy few days meeting some of the industry’s finest, the AcuComm team have now had time to unwind and reflect on what has been a brilliant first year for us at the RWM Exhibition – the largest resource efficiency show in Europe. 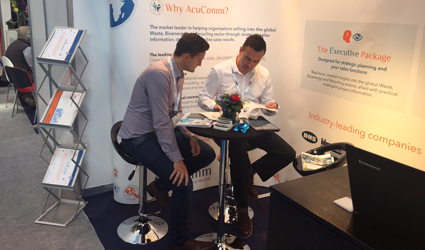 The NEC was bustling and we were delighted to see so many people stop by our stand to find out more about AcuComm. Our Business Development Managers, Rob and Stuart, and Chief Data Analyst, Andy, were on hand to give around 20 demos to potential new customers, while also taking on a further 60 to be carried out in the near future. We also handed out 250 copies of our monthly db Monitor, and signed 5 orders! 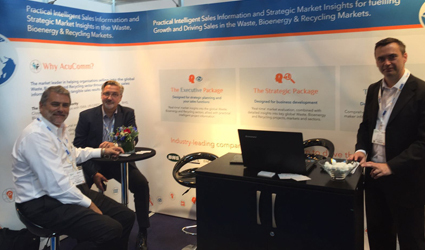 However, some of the best highlights for us were the comments made by people who visited our stand, with more than one visitor believing that “the industry needs more of this type of information!” Everyone agreed that the waste industry is on the cusp of truly going global – something we have always believed in. 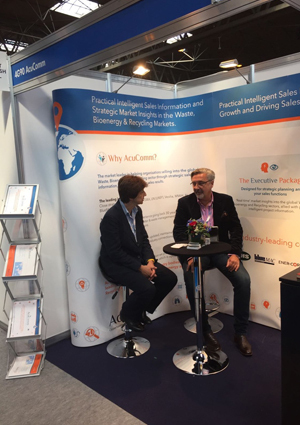 We would like to thank everyone who stopped by our stand and was impressed with the detail, coverage and scope of AcuComm’s Business Intelligence. We hope to be in touch with many of you soon! The Kuwait Authority for Partnership Projects, in collaboration with the Kuwait Municipality, is planning the development of a municipal solid waste project in the Kabd area. On 8th September 2016, KAPP revealed that it has received proposals from prequalified three consortia for the project. Gatwick Airport, in partnership with DHL, is set to become the first airport in the world able to dispose of Category 1 waste on-site and convert it into energy. From November 2016, Gatwick’s new £3.8 million biomass energy facility will begin to dispose of this waste safely, converting it into 1 MW of energy to power the new plant and heat the North Terminal. The plant also includes a waste sorting centre. To find out more on this breakthrough plant, click here. In the week ended 9th September 2016, AcuComm added 41 new or updated projects to our Business db, worth an estimated US$3,375 million and waste capacity of just under 9.9 million tonnes. This takes the total estimated investment value of projects to US$337.1 billion. Wood was the leading feedstock type report on in the past week, accounting for an estimated 3.5 million tonnes, or 35.6% of the total. The leading countries were the USA with eleven projects, followed by the UK with nine. At AcuComm, we are continually improving our products and services. To find out how our Search function, along with Analytics, has been upgraded over the past few years, take a look at our latest developments blog. AcuComm has never been a company to rest on its laurels. Innovation is central to our ethos. As the first company of our type to support organisations operating in the Waste, Bioenergy and Recycling industries, we are committed to continually improving our products and services. To demonstrate this, we’ve put together a timeline for the new developments we have rolled out to our customers. Back in March last year, we implemented improvements to our website’s Search function. 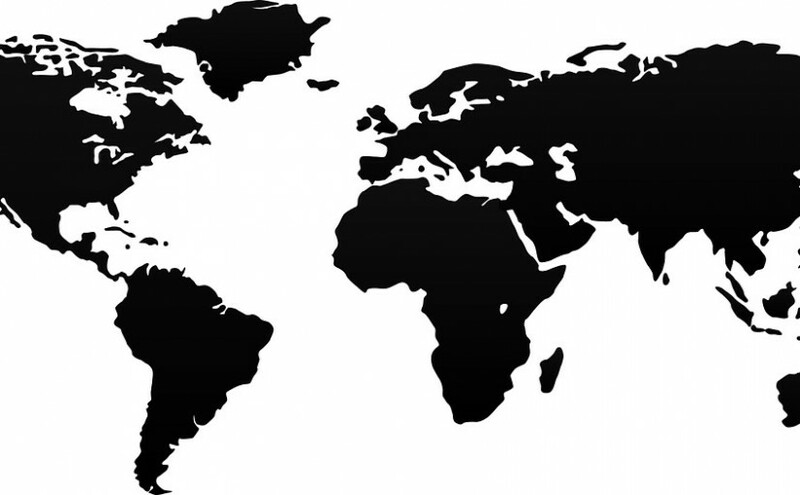 One of these was the introduction of Regional Search, which has since allowed organisations to research specific areas from across the globe, including Europe, Asia, Africa, the Pacific, the Americas and more. Not only do AcuComm’s ‘Essential’ Reports provide you with the most comprehensive overview of global plant developments across a number of sectors, but they also give you the direct contact details for key decision-makers who are associated with each project in a separate Microsoft Excel file. One of our customers who has benefited from access to quality contact details is Andrew Whitworth, Regional Sales Manager at Cogenco Ltd (Veolia CHP). This graph shows the reported/estimated feedstock capacity on the selected projects, split by broad size. There are three groups: Less than 50,000 tonnes per year, 50,000 – 200,000 tonnes per year, and 200,000+ tonnes per year. This allows you to see the typical size of projects in a given sector, by size of waste/feedstock throughput. Similarly to Graph 2, this metric creates an overview of the planned power generation for the selected project group. There are three groups: Less than 5 MW, 5 MW – 40 MW, and 40 MW+. This allows you to see the typical size of projects in a given sector, by planned/estimated power generation. As part of exclusive access for our paid subscribers, we have developed a storage container facility, so customers can save their favourite projects. Projects in the storage container can be downloaded as an Excel file or printed in PDF format, there is no limit to the number of containers any customer can create. 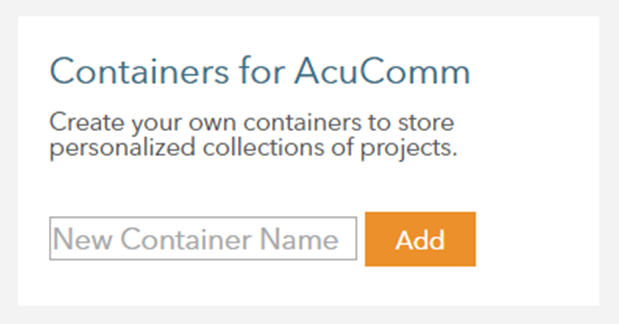 Since the beginning of 2015, AcuComm’s database has doubled in size for both projects and contacts. This development has meant that together with other search functions, we offer users an extremely broad opportunity to interrogate the projects database. Please note – only companies/contacts that relate to projects can be searched. To compliment the container storage facility we have developed our product platform even further so that customers can now save a search into a similar storage facility. When a saved search is clicked it is re-run as if for the first time, so any new updates or new projects that meet the search criteria are updated and/or added. Moreover, an existing search can be filtered and refined, then saved with a different name (which is useful for people who wish to create similar multiple saved searches). As with the container storage facility, there is no limit to the number of saved searches any customer can create. We are already working on our next new initiatives to support our customers even further, so keep an eye out over the next few months for further details. 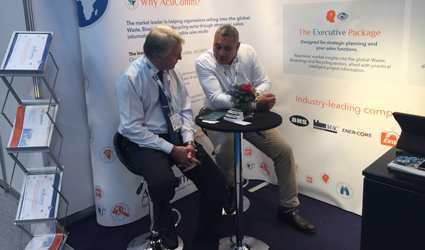 In the meantime, to experience how AcuComm’s could benefit your organisation, visit our website or book a demo with the team today. China Everbright International has signed a concession agreement for a household waste-to-energy (WtE) project with the People’s Government of Taikang Country, Henan Province. The facility will have a designed daily household waste processing capacity of 1,050 tonnes and will be built in two phases. For the latest updates on Taikang County’s first WtE project, click here. On 24th August 2016, Aalborg Energie Technik signed a contract with J.G. Pears Power for the engineering, procurement and construction delivery of a 12 MWe and 42 MWth combined heat and power plant at Low Marnham near Newark, Nottinghamshire. Handover is expected to take place in early 2018. On 24th August 2016, it was announced by Enerkem that it has obtained certification from the International Sustainability and Carbon Certification (ISCC) system for the biomethanol production of its Enerkem Alberta Biofuels full-scale facility. The facility began operations back in 2014, but is now officially the first plant in the world to convert municipal solid waste (MSW) into biomethanol. In an ongoing second phase of development, a module converting biomethanol into advanced ethanol is being added. This is expected to be completed towards the end of 2016 and will become the first to sell multiple renewable fuel and chemical products made from waste. Click here for the full details on this world-leading plant.